With the all the religious sites in Jerusalem, you would think that things to do in Jerusalem only consist of pilgrimage activities. That couldn’t be far from the truth. I have had quite a few trips to Jerusalem so I thought I would do a Jerusalem travel guide on things to see and do in the city in addition to tips on things to do in Jerusalem on Shabbat. Covering the best places to visit in Jerusalem, cool tourist spots in Jerusalem not to miss and more. There is so much to life in Jerusalem beyond the visits to the Western Wall, Dome of the Rock, Holy Sepulchre and many other religious sites Jerusalem is famous for. Below is a list of places to visit, things to do, places to eat and hotel in Jerusalem. Also including the popular. You can, of course, do a day trip to Jerusalem fromTel Avivand I have also done it all the way fromShlomi and Nahariya in the north of Israel boarding Lebanon. Israel is small enough to go from North to South is as few as 4-5 hours. Jerusalem’s main throughway. No trip to Jerusalem is complete without checking out this bustling hub in the city. The streets here are filled with people, from your locals going about their daily lives to tourists milling around cafes, restaurants, and shops that line the streets. If you are looking for a little retail therapy or a few souvenirs then a trip to Jaffa Street and Ben Yehuda and surrounding streets are the places to head This area also comes alive after dark. This is also where you will find the street with the Umbrella Project I told you about in a recent post. With all the beautiful sights and things to do in Jerusalem, you will surely work up an appetite in no time. A taste of Shawarma is a must when you are in the Middle so one cannot leave Jerusalem without sampling authentic Shawarma in the many restaurants in Muslim Quarter of Jerusalem. Tasty falafel and hummus should be added to your list of things to try when you visit Jerusalem. There are many places to eat in and around the quarters. Check out places like Al Nasser and Abu Shukri in the Muslim quarter and B’sharayich in the Jewish Quarter. In the Christian Qarter be sure to check out Versavee and Lina for fantastic hummus and salads. The Old City of Jerusalem is divided into four quarters; The Jewish Quarter, The Armenian Quarter, The Christian Quarter, and The Muslim Quarter. Each quarter has its own characteristics and unique atmosphere. There are seven gates in and around the walled city from which to enter. The Jewish Quarter is filled with narrow alleyways lined by the homes of Ultra-Orthodox Jewish families, and schools where students study the Torah study. Here you can observe the residents go about on their daily life. The Jewish Quarter’s narrow alleyways led you up to the Western Wall. The Muslim Quarter is one of the busiest of the quarters with busy streets filled with shops with shish cafes. Streets here are filled with tourists, locals, this is the best place to try out your haggling skills with the many shops selling a variety of products. From clothes to spices. This quarter also leds to the Dome of the Rock which sits above the Western Wall Plaze in the Jewish Quarter. The Christian Quarter of the Old City of Jerusalem is home to about 40 holy sites to Christians. The streets are filled with priests and pilgrims from around the world. This quarter was constructed around the Church of the Holy Sepulchre where Jesus is said to have been crucified and buried. The Armenian Quarter area is home to some 2,500 Armenians and is the smallest quarter of the Old City. The Armenian community are said to have resided here for over 2,000 years. A trip to Israel is not complete without checking out the holy sites in the city. Mostly concentrated in the Old City of Jerusalem. Here you will find some of the most important and holiest sites to Muslims, Christians, and Jews. The Western Wall sits just below Temple Mount where you will find Dome of The Rock and a short walk from here is where you will find the Holy Sepulcher where it is believed Jesus was crucified. Remember to dress modestly if visiting these sites. Also note that non-Muslims are not allowed inside the Al Aqsa mosque but can tour around the building’s surrounding area. With all the beautiful sites that draw tourists to Israel and Jerusalem in particular, you sometimes need to take a few steps back to get a better view of the sights in Jerusalem. In my recent post, I shared with you the beautiful views of Jerusalem from Haas Promenade. This place offers a beautiful vantage point to take in the site. My post also included a couple of other places with viewing decks and amazing views, somewhere you can even see as far as the Dead Sea. Jerusalem has many a market to lose yourself in. The Old City of Jerusalem and its beautiful entrance gates is where you will find the Old City Souk. The market is busy and bustling with tourists and locals and you can find anything from fabric to postcards not to mention the Dome of the Rock and Wailing Wall are nearby. Another market to check out is the Farmers’ and Artists’ Market located in the German Colony, a prominent neighbourhood in Jerusalem. The market offers an array of items from cheese, handmade clothes to books and organic products. Another market to include on your list of things to do in Jerusalem is Mahane Yehuda Market. This market is often referred to as ‘The Shuk’, here you will find fresh fruit and veg and many local delicacies. This market had a less than great reputation but has since seen some gentrification and now features designer boutiques among the fruit and veg market stores found in the area. Jerusalem is small but when you think of all the things to see and do in Jerusalem, its almost as if the city grows or the days suddenly get shortened. One cannot miss out on visits to Mount of Olives with amazing views of Jerusalem, Zion Gate, The Old City Cardo, Western Wall, Markets, The Quarters of Jerusalem, Via Dolorosa… the list is endless! Thankfully there are many tours on offer from half day tours to full day tours to tours that pick you up at your hotel in Tel Aviv or Jerusalem. Some tours also combine visits to the Dead Sea, Bethlehem and other places in Israel. There is plenty of fun things to do in Jerusalem at night. Its not all just about religious sites. The beautiful and bustling streets of Jaffa Street and Ben Yehuda are busy with locals and tourist in the day but also come alive in the night when they become the center of the nightlife in Jerusalem. This area is home to the famous Mikes Place, an American style bar restaurant that comes with live music and sports. 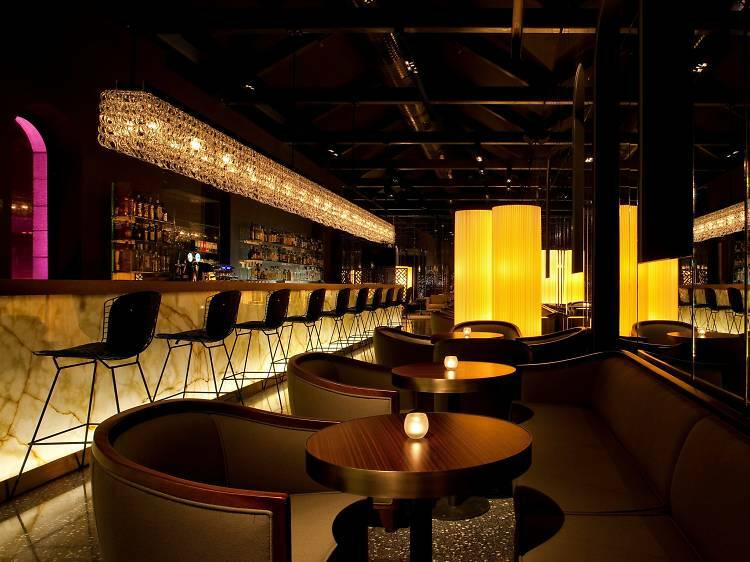 Other places to include on your evening of sampling nightlife in Jerusalem are Sira Pub, Hataklit, The Barrel and Tap and Mirror Bar. 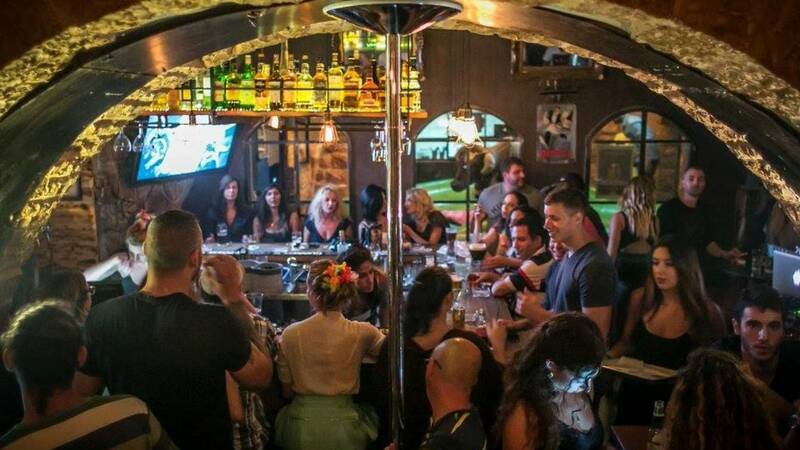 For more fun things to do in Jerusalem at night then also consider pub crawl tours where you can join and drinks and entrances to bars are included! You have toured the Old City wall to wall, tasted authentic Shawarma, did you know that you can learn how to cook and make Israel’s or Middle Eastern cuisine in a cooking workshop? Above I told you about I told you about Mahane Yehuda Market, located in the heart of Jerusalem is filled with fresh and fragrant produce. One one of the many cooking workshops in Jerusalem this is where many will bring you and go through the selection of products you will use to cook your very own meals. Check out TripAdvisor for cooking glasses in Jerusalem. The city of Jerusalem may be filled with old and ancient sites but that does not mean the hotels also fall into the relic category. After touring the city walls you might need comfortable places to rest your head and relax before embarking on yet more exploring. Jerusalem comes packed with some of the luxurious hotels this side of the Middle East. For where to stay in Jerusalem, check out the likes of Waldorf Astoria is only a few yards from the Old City Walls. If luxury and beautiful interiors are how you like your hotels then The King David overlooking the Old City is one luxury hotel not to pass up. Then there is also The American Colony Hotel with a colonial-era style to it and comes with beautiful gardens and beautiful spacious rooms. For a list of hotels and hostels at all budgets check out prices at Booking.com, Trivago, and Agoda. Getting around Jerusalem for those that that love DIY exploring, couldn’t be easier. You can definitely walk around the city but there are also Trams and buses available. Jerusalem has a Light Rail (tram) which runs along Mount Herzl and Pisgat Zee. At Mount Herzl, Ammunition Hill, and Pisgat Zeev, there is a park and ride lots where you can park and then take the Light Rail instead of driving to the city center. We didn’t use the park and ride on this trip but we did on my previous trip to Jerusalem. We drop through to Jaffa Street and there is a car park just behind the streets with the Umbrella Project. We used Google Maps to find the nearest car park at the time. To use Jerusalem’s Light Rail you have to buy the ticket before you board. Tickets can be purchased at stops, and cost 5.90 NIS for a single trip. The last time we used the tram in Jerusalem we got on at Mount Hertzl and got off at Damascus Gate which has one of 7 entrances to the Old City walls where you can walk through the markets and end up on the Western Wall Plaza. I haven’t got round to using the buses in Jerusalem but used the tram. I can’t imagine they would be as difficult as trying to navigate your way around London on the bus. Like it? Share and pin to your travel board. Yes, I have heard that about university of Jerusalem. I am heading back to Israel next month. I will definitely check it out. Loved your photos and this post! Jaffa Street and its umbrellas reminded me of a little island called Tabarca I visited last summer in Spain. I have always thought Jerusalem as nothing but a holy city I have no idea there were so things to do in Jerusalem at night. I definitely need to check Jerusalem off my list next year. Yes, there is so much to Jerusalem than the religious sites. It usually comes as a surprise to many who visit Jerusalem that there are plenty of fun things to do in Jerusalem at night that have nothing to do with touring the Al Aqsa mosque, Western Wall or Via Dolorosa. Definitely check it out next year. Wow, I had no I idea there were this many thing to do in the holly city, so many tourist spots in Jerusalem. Stumbled onto your post while looking for things to do in Jerusalem on Shabbat. Glad you found us! Yes that are so many things to do in Jerusalem at night, on Shabbat or any other time that have nothing to do with the holy sites. We are visiting Jerusalem in January and have been searching for a list of 10 best places to visit in Jerusalem, you seem to have taken a lot of work out of our search. Also following your other posts on Jaffa Street and the best viewpoints in Jerusalem. Well that’s our trip planned then haha. Thanks again to your blog. Hahaha, That’s awesome Nicole. I am glad to help. Hope you get to tick off as many of the best places to visit in Jerusalem. Have fun! I came across your Things To Do In Jerusalem, I am so glad you covered so many cool ideas as we have been searching for things to do in Jerusalem on Shabbat and fun things to do in Jerusalem at night as we just assumed everything would be centre around religion. Had no idea there was this side of the city that you have blogged about. Getting so excited to visit Israel now. Awesome stuff Nicky. Have a great time in Israel. I am sure you will love the holy land. This is so cool, I had no idea there were this many exciting things to do in Jerusalem beyond all the holy thing to do in Jerusalem. My eyes have definitely been opened. Thats awesome. Glad I opened your eyes to the many things to do in Jerusalem. Hey, we are on a rather budget trip and looking for things to do in Jerusalem for free. Anything else you can recommend? Hey, do you know of any other things to do in Jerusalem on a culture trip? We are doing a day trip from Tel Aviv to Jerusalem and were looking for things to do in Jerusalem tonight in the city when I stumbled on a couple of your posts on Israel. Thanks so much for your tips. Yes, I have done a couple of day trips to Jerusalem. Enjoy your visit. Wow, I had no idea about this side of Jerusalem. Thought you only had options for holy things to do in Jerusalem. Didn’t realise there were this many things to do in Jerusalem at night. Yes, I was totally surprised when I visited as well. There is a whole other side to Jerusalem than what I imagined. I came across your Things To Do In Jerusalem as I have been on the hunt for unusual things to do in Jerusalem. I had no idea about some of the tours you mentioned. Really looking forward to our trip now. Awesome stuff! Enjoy your visit to Jerusalem. I love your blog! I had no idea there were so many things to do in Jerusalem. We are spending a couple of nights in Jerusalem before heading down to the Dead Sea. Will check out your other posts on Israel. Such an informative post. I had no idea that there were so many things to do in Jerusalem on Shabbat as well as many Jerusalem points of interest to visit. I thought the city totally shuts down. This is so exciting. I am visiting Jerusalem in April and cant wait. What a great guide. You have covered so many of the best places to visit in Jerusalem. I am visiting Israel in April and just trying to figure out how can you do Jerusalem in one day, I still trying to work out what currency do Jerusalem use and all that when I came across your post. I have 10 days in Israel and trying to cover as much ground as possible. I was thinking of what to do in Jerusalem for 2 days. Will definitely be following your recommendations as I had no idea there were so many things available on what to do in Jerusalem on Saturday night. I always imagined things to come to a halt on the weekends in Jerusalem. Yes, the city of Jerusalem is one that is busy with local and tourists alike. There are still plenty you can do in Jerusalem. Whether you are looking for what to do in Jerusalem in one day or 2 days. You can definitely cover a lot of ground, especially if you have a full day or 2 full days in Jerusalem. Either way I am sure you will have an amazing time. Wonderful blog you have here. I am about to plan a trip to Israel and have been researching things to do in Jerusalem at night, cool places of interest in Jerusalem plus tips on other things to see in Israel. Your blog has answered so many of my questions. I am glad to hear that you found the post useful. I have tried to include as many of the best places to visit in Jerusalem. Do let me know how your trip goes as well as how many of the Jerusalem sites and must see in Jerusalem to manage to tick off. All the best. Hey no better time like the present. There is always time to visit the many beautiful places in Jerusalem. I might do another post on 10 best things to do in Israel as well as a post on one day in Jerusalem so look out for that. The markets look incredible in Jerusalem. I’ve been thinking about traveling to Jerusalem for a while and after reading this article I think I’m going to make a point to travel there. Everything about the Old city looks wonderful from the buildings to the markets and even the food. Quite a travel destination! Never knew there were so many tourist spots in Jeruslem beyond the religious sights. Yes, definitely check Israel and Jerusalem in particular. Plenty of tops attractions in Jerusalem to explore. Including the important places in Jerusalem such as the Mosque, Western Wall and more… I am sure you will love it.